Making hummus at home is simple, cheap, and addicting! 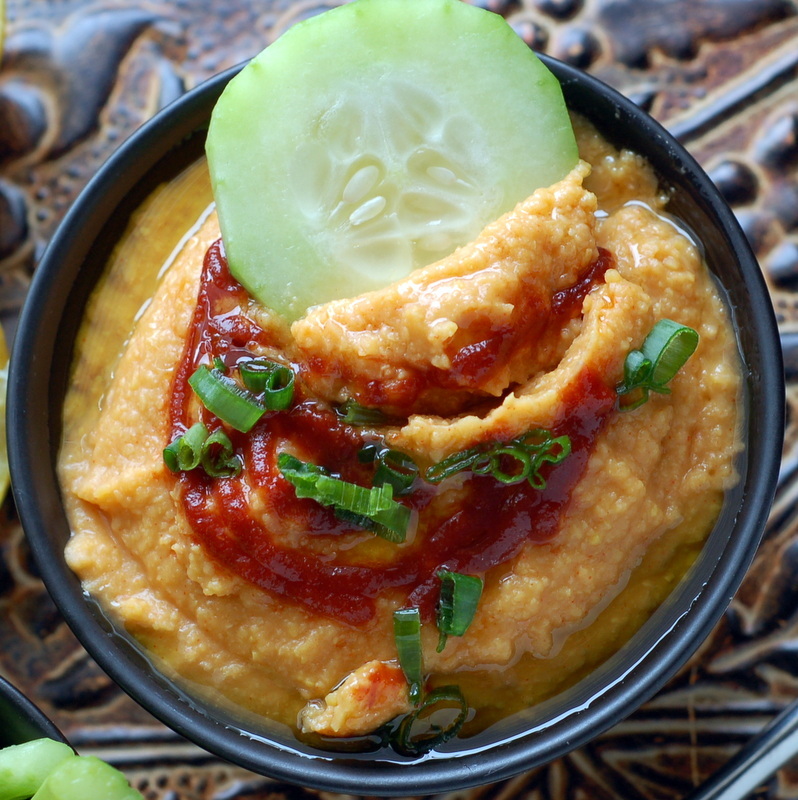 This hummus recipe is super easy & less expensive than the store bought versions. Hummus may be the perfect dip. Try blending in different flavors to make it unique each time. You can whip up a batch for your next party in just 5 minutes with ingredients you probably already have on hand. 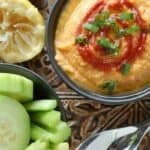 A simple, easy, and inexpensive hummus recipe. Place all ingredients, except olive oil, into blender. Blend until smooth. Place in serving dish and drizzle with olive oil and additional sriracha sauce. Serve with cucumber slices, carrots, peppers, mushrooms, or other favorite veggies. Do you want your children eating a more varied diet, but wonder how to get more fruit and veggies into their meals & snacks? This eBook is a fun filled way to get kids eating better while having age appropriate fun! Spicy delicious hummus is a must! This sounds absolutely fabulous – we’ll make it this weekend! I’m keeping good thoughts for you as you travel your journey to health! Oh i have to make this for my husband! Sorry to hear about the medical issues. Hope they get to the bottom of everything asap. Good luck!